I never really got into Battleship. Mainly because I didn’t own it as a kid, but more so because as an adult, it was far too easy to hide your ships in every corner of the board and let your opponent blindly fire at an empty middle where “traditional” players might have put their ships. 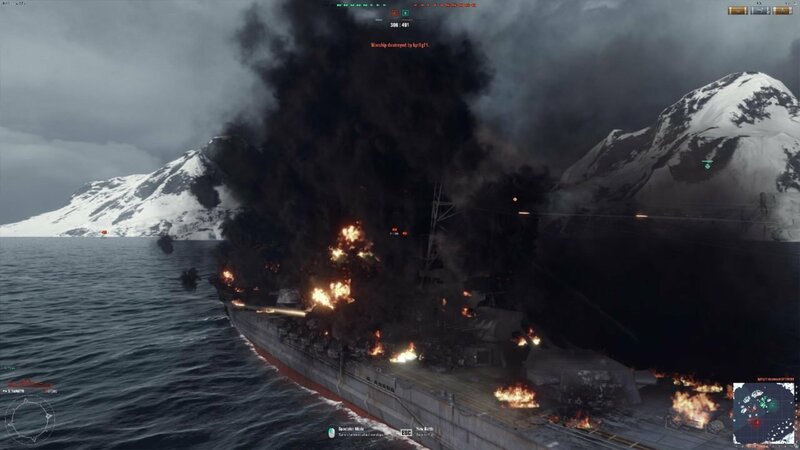 World of Warships is basically virtual Battleship only with much more action and strategy involved. 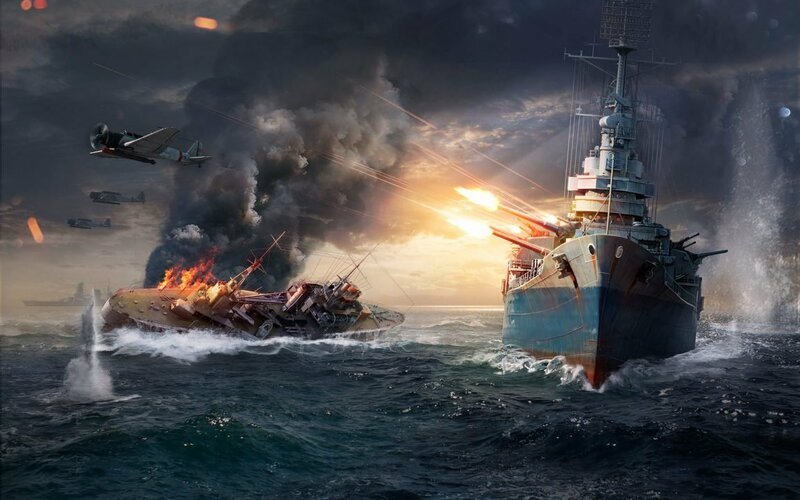 One of the three historically based, vehicular combat MMOs brought to you by Wargaming Public Co Ltd, (the cleverly named) World of Warships takes the slow, methodical combat of naval battles and turns them into a pretty intense experience, testing your tactical expertise. 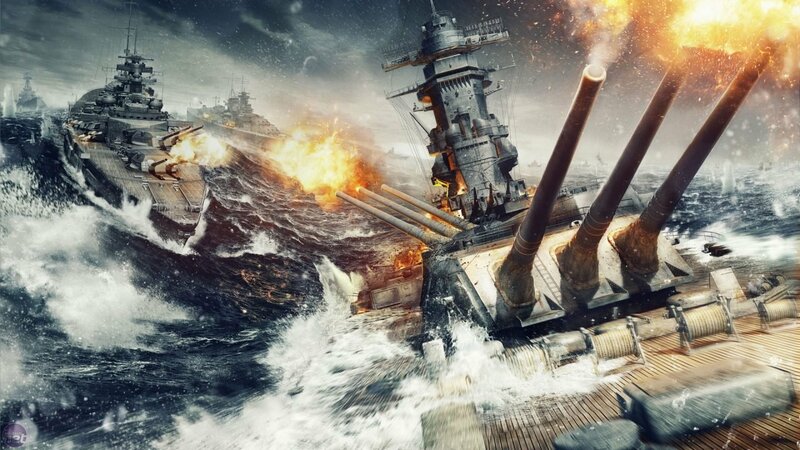 World of Warships plays like a third-person shooter with a few RTS elements mixed in for good measure. Players can choose from a variety of ships within four different classes: destroyers, cruisers, carriers and battleships. How you play is determined by what ship you use, and your strategies need to be tuned accordingly. Destroyers are some of the faster ships and are more suited to charging into battle firing shells and torpedoes, while battleships are slow, lumbering behemoths that can deal and take the most damage. Most interesting of all ships, and easily my favorite, are the carriers, that literally change the game into an RTS (seriously, even the viewpoint is changed from 3PS to overhead), as you manage a fleet of planes and help control the battle. However it isn’t as simple as just choosing a ship and going to war. Each ship is host to a litany of fine touches. Players can choose from one of the six available nations’ fleet of ships, and each one offers differing varieties in the types of ships (Germany for example only offers Cruisers and a single Battleship). On top of that, through playing matches, players will earn in-game currency (while they can choose to purchase premium currency) to purchase upgrades for their artillery, add bonus “perk” upgrades to their ship as well as upgrade their captain for added special perks like “increased chance to ignite enemy ships” or “decreased chance of being flooded.” These upgrades add a nice RPG flavor to the game, and given WoW’s more methodical, tactical style of gameplay, this forces you to focus your efforts towards creating the most effective ship. Matches are easily made and incredibly balanced. 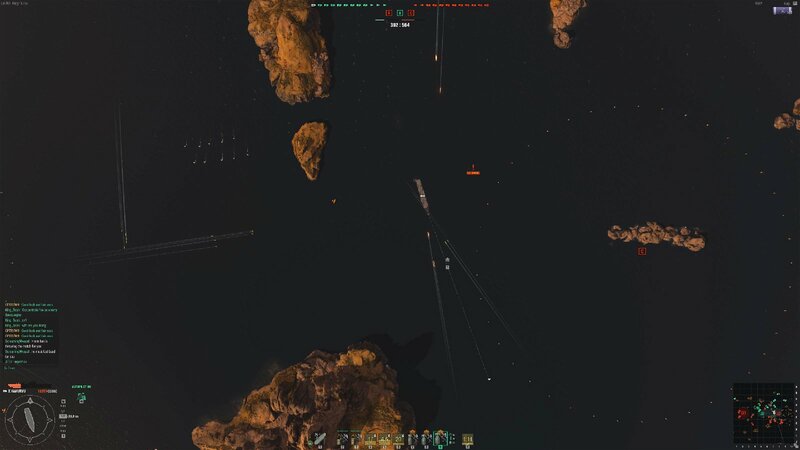 I never found myself waiting more than a minute or two to get into a match, and what I found quite interesting was how the game matches your opponent’s ships to that of your team. Often I thought I could be sneaky and overpower the other team with a deft aerial assault, only to be matched with another carrier of relative calibre. This is an excellent system and ensures that no team ever has the upper-hand over another. On higher end computers you’ll get the full spectrum of details and fine touches, from the waves on the seas to the nuts and bolts on the ships. However, those on the lower end need not worry; World of Warships optimizes itself very well on almost any computer. I ran it from my Dell Inspirion 14-5447 laptop, and while it didn’t look as nice, it ran smooth as butter. If I had to say one negative thing about the game, it’s the slow pace at which you unlock ships and bonuses. At the start, you’ll unlock the first few ships fairly quickly, but then it really feels like you hit the wall, and getting to the next upgrade becomes a serious grind. On top of that, the slow methodical gameplay just didn’t hold my attention for very long. 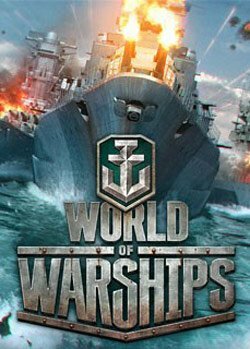 Make no mistake, I enjoyed my time with World of Warships, I just felt like I had my fill after a few hours. Overall, World of Warships is an excellent game, and I’d highly recommend it if you’re into this kind of thing. For a free MMO, it’s technically proficient, looks great, and will provide a fun experience. Even though I couldn’t find myself getting into it, I definitely understand why it has the following it has. World of Warships is basically virtual Battleship only with much more action and strategy involved.